Roy Hargrove, whose virtuoso trumpet playing and rhythmic imagination made him an object of awe and envy in the jazz world for three decades, died Friday, Nov. 2 in New York. He was 49 years old. His death was confirmed by his pianist, Sullivan Fortner, who broke the news on social media, and by his longtime manager Larry Clothier. Cause of death was cardiac arrest, a complication of the kidney disease with which Hargrove had struggled for many years. Hargrove’s brilliant technical ability was amplified by his willingness to experiment. In addition to a long-running quintet, which concentrated on small-group jazz in a hard-bop and postbop vein, Hargrove led the RH Factor, a collective that fused jazz with funk and hip-hop; a Latin project that allowed him to stretch out with pedigreed afro-Cuban players; and a big band that explored all of these elements. 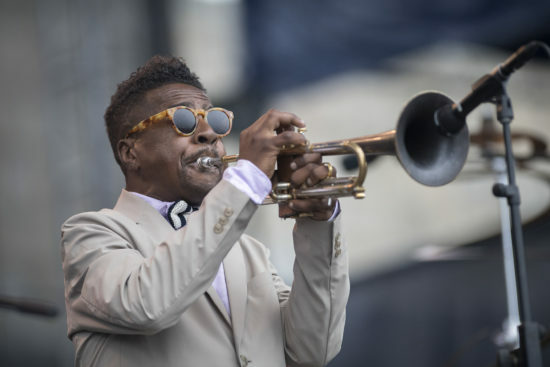 Roy Anthony Hargrove was born on Oct. 16, 1969 in Waco, Texas, and grew up in Dallas, where he began playing trumpet at age nine and attended the city’s famous Booker T. Washington High School for the Performing Arts. During his junior year, Wynton Marsalis visited the school on an educational tour and heard young Hargrove play, encouraging him to pursue a career in jazz. Hargrove took his advice, enrolling at Berklee College of Music in 1988. Hargrove stayed at Berklee only a year, during which he spent more time commuting to New York and attending jam sessions than he did attending class (a fact that, amusingly, he enjoyed sharing with his students after he became a teacher at Berklee). 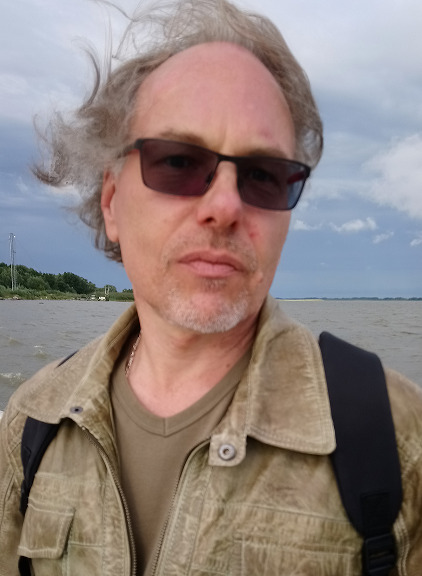 The following year he transferred to Manhattan School of Music, becoming a permanent fixture on the New York scene; that same year, 1989, he recorded his first album (Diamond in the Rough), which began a long association with alto saxophonist Antonio Hart. Other regular collaborators included bassist Christian McBride, pianists Stephen Scott and Marc Cary, and saxophonist Ron Blake. He won two Grammy Awards in 1997 and 2002. Along with Hart, McBride, and tenor saxophonist Joshua Redman, Hargrove became the face of a new generation of “Young Lions” for jazz in the 1990s. Like those musicians, Hargrove at first made music that was steeped in the swinging hard bop tradition, but gradually began branching out into the funk, soul, and hip-hop with which he grew up. In 2000, he was featured on the seminal album Voodoo by R&B singer D’Angelo; a few years later he formed the neo-fusion project RH Factor, featuring D’Angelo as well as rappers Common and Q-Tip and his former Dallas schoolmate, singer Erykah Badu. “I had to go all the way in there,” he explained about starting the band. Hargrove never abandoned the hard bop matrix with which he’d broken through, however; he led a stable longtime quintet with saxophonist Justin Robinson, pianist Sullivan Fortner, bassist Ameen Saleem, and drummer Quincy Phillips to continue that pursuit. His soulful 2006 hard bop composition “Strasbourg-St. Denis” became both his theme song and a latter-day jazz standard. In these contexts, Hargrove also moonlighted as a singer, drawing on the deep well of Great American Songbook lyrics he’d learned over the years and proving a competent scatter. Often after gigs, regardless of the town in which he was performing, Hargrove sought out jam sessions and sit-in opportunities that would keep him on bandstands into the early morning hours. He was famous for his tirelessness. His health struggles had done little to slow his performances. He worked in Paris in October. The night after his death, Hargrove had been scheduled to play a free concert at a church in Newark; he was also booked for extended engagements at Washington, D.C.’s Blues Alley, Seattle’s Dimitriou’s Jazz Alley, and New York’s Jazz Gallery. Hargrove is survived by his mother, Jacklyn; his wife, Aida; a daughter, Kamala; and a brother, Brian. He was a great musician, loved his Latin album "Habana". He was young, only 49. Hard to believe that members of the 'young lion' movement are already leaving us. They were the new guys not long ago.